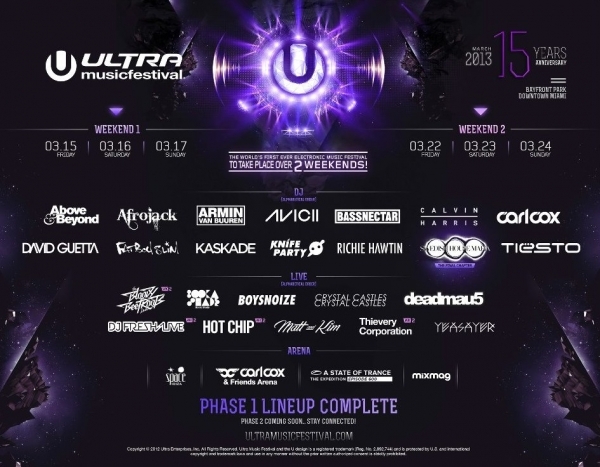 Ultra Music Festival just announced their Phase 1 lineup, and we are extremely excited for the live stage bands. Ultra will take place over two weekends, but will include different artists each weekend. As of now there is no sign of Daft Punk, but we have a good feeling about it since their new album will be released on 3/13. In the meantime, stay tuned for more information. I don’t even know the way I stopped up right here, however I thought this post used to be great. I do not realize who you’re but certainly you’re going to a well-known blogger in case you are not already. Cheers!